Have you noticed a loss in fuel economy? Are you consuming a lot of oil? Is there coolant in your crankcase? If you answered yes to any of these questions, you may want to evaluate your engine to see the extent of the damage. It might be time for an engine rebuild kit. While rebuild kits can be expensive and shopping for one might seem an overwhelming task, they are vital to extending the life of your engine. 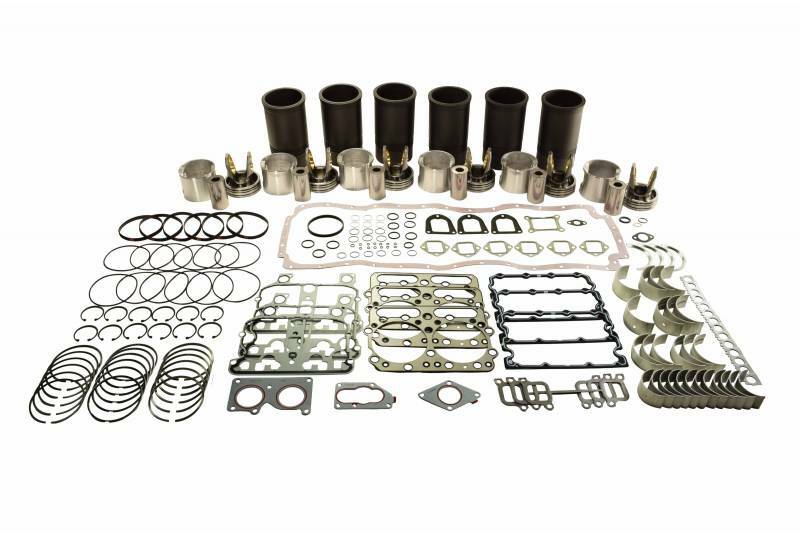 A rebuild kit allows you to replace many of the components in the engine to fix any issues that might arise, from leaks throughout the engine to large-scale failure. The type of kit you need will depend both on the type of engine you have and the amount of damage sustained. 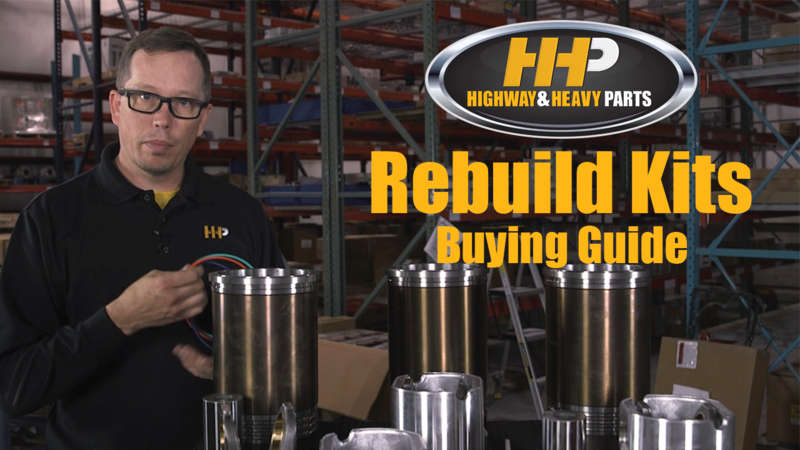 Here at HHP we're ready to help make the rebuild kit buying process easier and to find the right kit for you! We offer a wide variety of kits—click here to take a look. An engine rebuild kit is one of the biggest purchases you can make for your engine, and there are some things you want to think about as you move toward your purchase. First, it's important to make sure you’re getting a kit that's right for your engine. Different engine models have different needs, so be sure you're getting a kit whose parts are compatible with your particular engine. Having your engine serial number handy as you shop can help to ensure you're purchasing the right kit for the job. A re-ring kit is the most basic level rebuild kit. It assumes that your pistons are still in good shape and reusable. 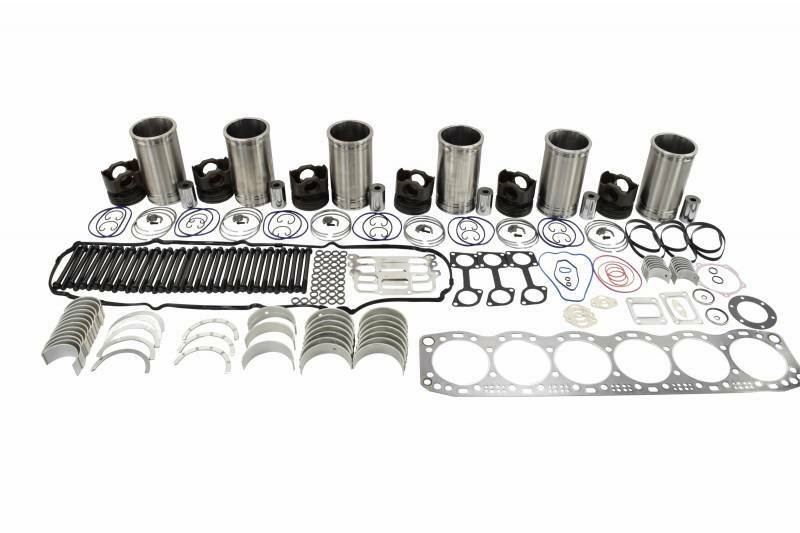 It comes with a new head gasket set, a pan gasket set, a new set of liners, a new set of rings, and new main thrust bearings. The next level of kit is the inframe rebuild kit. You would want this type of kit when there's obvious piston damage, or your pistons just aren't in good enough shape to reuse. 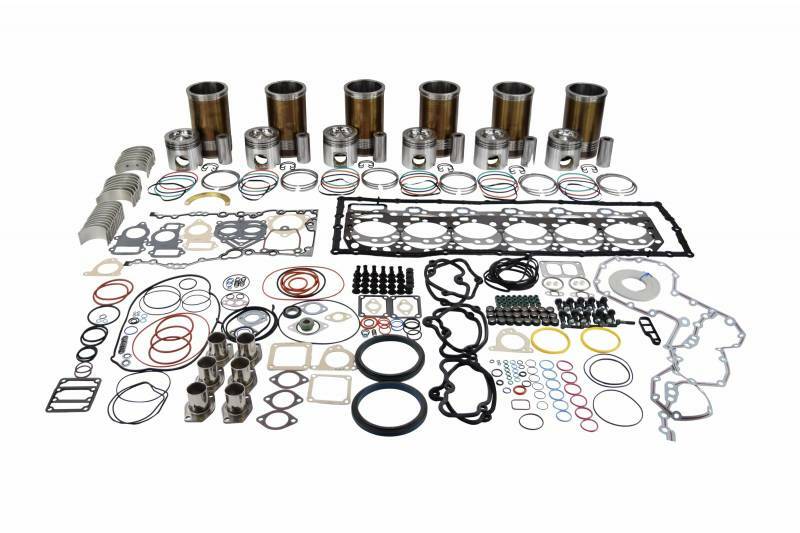 It comes with everything from the re-ring kit, but also usually includes an upper engine gasket set and piston crowns and skirts or pistons, depending on the type of engine. The most involved kit is the out-of-frame rebuild kit. This is typically required when you've experienced a catastrophic engine failure that calls for the removal of the crank or an engine block change. You might also want this type of kit if you're just looking to reseal all the leaks in your engine. An out-of-frame kit comes with everything from the inframe kit, but also comes with the additional gaskets needed for you to get the job done. A lot of people think that when it comes to something as expensive and important as a rebuild kit, buying OEM is the only real option. Aftermarket kits have gotten a bad rep for having cheaply made, low quality parts—something that may be true for some aftermarket brands, but not HHP. You just have to be careful where you buy from, and that includes the OEM. There are some things about OEM kits you may not realize. Ever wondered why your OEM rebuild kit has a core charge? It's because that OEM rebuild kit has used parts in it. Replacing worn out parts with used parts doesn't make sense to us, which is why all the rebuild kits at Highway and Heavy Parts include brand new, never used parts with zero core charges. To top it off, the components of the rebuild kits at Highway and Heavy Parts come from the same manufacturers as the OEM. Simply stated, its the same kit (minus the used parts), in a different box. There's no doubt about it, OEMs are more expensive than aftermarket parts, often for no other reason than their "name brand" status and reputation. While they may be great at stocking parts for their newer engine models, you can run into difficulties if you need parts for an older engine. You might have to wait a while to get the parts you need, if they still carry them at all. With a quality aftermarket provider, you can get the exact parts to fit your engine quickly. Highway and Heavy Parts is proud to offer quality aftermarket engine parts at 30%-50% below OEM prices. Plus, the majority of HHP parts are delivered in two days or less to most areas. You might even think that with an OEM comes a guarantee of quality—but they often don't back that up with a matching warranty. The standard OEM warranty is usually between 6 months and a year. But wouldn't it be nice to get the same or better quality parts with a longer warranty for less money? The majority of Highway and Heavy Parts rebuild kits include a 2-year warranty—that's double what the OEM offers! This way, not only are you getting the best quality parts, you can also rest easy knowing that if something were to go wrong, we've got you covered! When you're doing an engine rebuild, you want new parts in your engine, right? We agree, but OEMs don't always feel the same way. Often, they will market the cylinder kits as pre-assembled to save time during the rebuild, but that can hide the fact that they might be including used parts. It's harder to identify them if they're already assembled. Pretty sneaky, huh? Even more than that, many mechanics prefer to assemble their own to make sure it's done correctly, rather than just trusting the manufacturer to do it for them. With a kit from HHP, know that you're getting all new, never used parts that will meet your exacting specifications (they meet or exceed the OEMs! ).There's also no core charge, where an OEM would charge you for cores and then give you used parts. Believe it or not, the OEM doesn't always manufacturer their own parts. They'll use a third-party company to make the parts, and oftentimes these same companies supply the aftermarket sellers as well. It's the exact same product, just without the OEM label on it, or the OEM price. And even when aftermarket suppliers use different manufacturers, it's often because they are an even better quality part. So don't just trust that the OEM has your best interest at heart, choose an aftermarket parts supplier you can trust. Chances are, you'll find that a quality aftermarket supplier like HHP can get you superior parts for lower prices after all. My engine isn't running like it used to. Do you think a rebuild might help restore it? How extensive is the damage to my engine? What type of kit would be the most beneficial to my engine? Are you noticing any piston damage, or would I be able to reuse those? As always, our certified techs would be happy to help you through any questions you might have. Feel free to give us a call at 844-215-3406. Click here to download a PDF of this buying guide. Are you looking for a rebuild kit? Request a quote and let us help you find the perfect one for your engine! Listed below are a few of our best-selling rebuild kits, or you can visit our product page to take a look at our other kits. It only makes sense that you'd want to rebuild your engine with new parts. With this kit, that's what you'll get—all new parts, zero core charge, and a 2-year warranty. The lightweight, high-strength, forged steel pistons give you lower emissions and soot saturation prevention. Not only that, but they have a longer life than your traditional piston. Combine that with oil control rings with precise tangential tension and you have a kit that will keep you going for another million miles. We know what you want for your engine—all new parts, no core charges, and a 2-year warranty. That's that you get with this rebuild kit. Featuring a patented top liner cooling design for decreased heat retention and a coated Top Fire Ring for longevity, you know these parts are made to last. You'll also be reducing oil consumption and blow-by with the included rectangular groove compression ring. This rebuild kit means business! Have you dreamt of a smooth ride? This kit can help! Its Ferrotherm pistons, a hybrid with an aluminum skirt and steel crown are designed for a smooth ride and a balanced engine. Know your piston pin and crown are made to last with a profiled bore design. And with a piston crown designed to withstand pressure of more than 2,150 PSI, you can rest assured that these parts can take whatever's thrown at them. 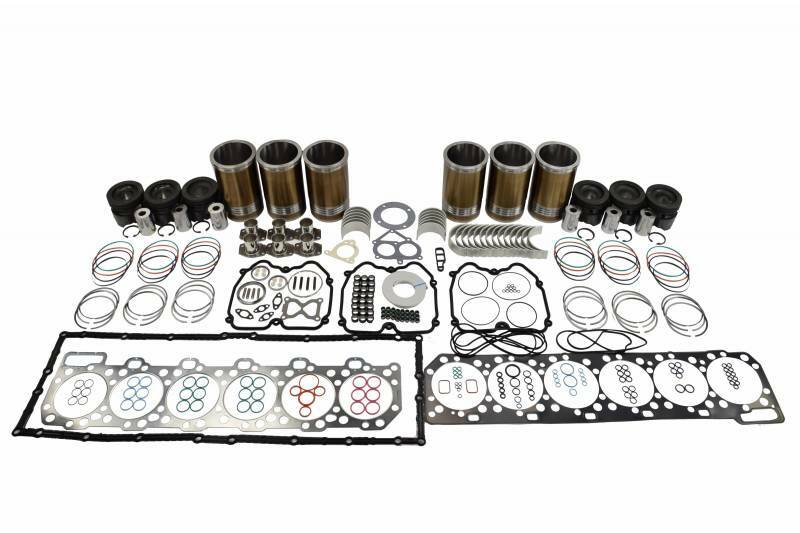 This kit can help your engine run for mile and miles. With a head bolt kit of quality steel and premium coated top fire rings, durability is a given. Made in an ISO 9001:2008 certified facility, these brand new parts are made to last—and you don't have to worry about a core charge. If that isn't enough, you get a 2-year warranty to go along with it! We know you want the best quality parts for your engine. That's what makes this rebuild kit so great. Built to OEM specifications with state of the art CNC machines and intense quality control, every part in this kit is made to last. 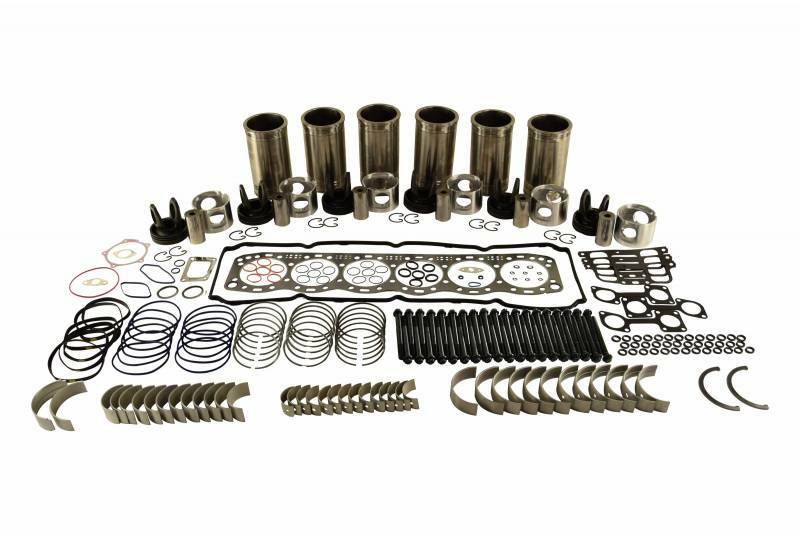 Each part in this kit is brand new, and you'll save up to 50% off the OEM prices. That's quality at every turn. With roll-burnished flange radius for increased strength and automatic bore honing for faster break-in, this kit is designed to exceed OEM specifications. You don't have to worry about the strength and durability of any of these parts. The pistons, for instance, are diamond-turned, forged alloy steel with a graphite-coated skirt to help improve seizure resistance. And those are just some of the great benefits of this kit. Each part is made with care to give you the best possible quality parts!